Kelly MacNaughton and Enrique Espinoza are the owners of Icky’s Variety. 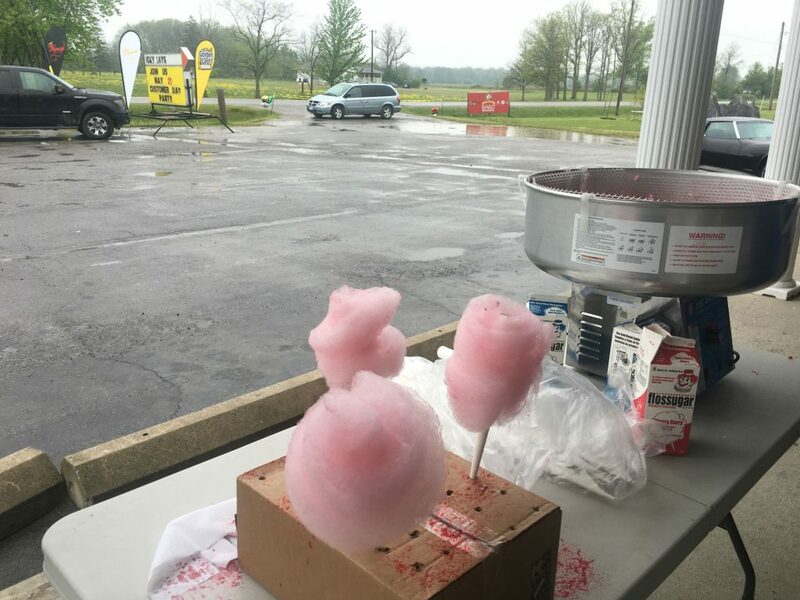 SIX NATIONS – Despite a steady rain, customers and community members still turned out in droves to Icky’s Variety customer appreciation day on Sunday. 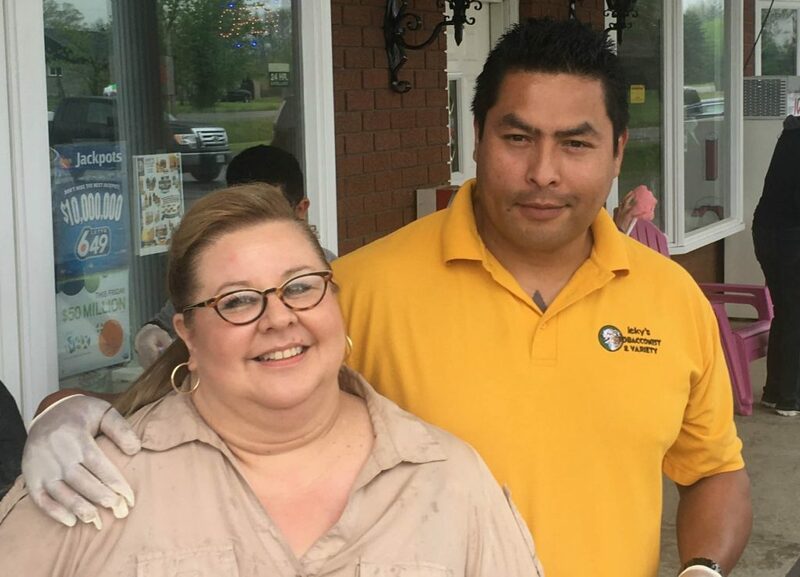 Kelly MacNaughton and Enrique Espinoza, the owner of Icky’s, put on the event every year as a way of giving back to their community and customers. The event featured free food, live entertainment, draws and raffles, a photo booth, bouncy castle, laser tag, fireworks, and much more. This year the event was named the “Future for our Children Party,” and was a family friendly way for kids to just enjoy themselves with all the benefits of a country fair freely provided. Enrique was behind the grill serving free hotdogs for everyone. Cotton candy was also made freely available, and the kids took advantage of it. Despite a steady rain throughout the day, Icky’s Variety still saw a solid turnout through the day. One of the favourites for the kids was the mobile laser gun tag provided by Ashlee’s Bouncy Castles. These are battery powered lasers which can shoot with great accuracy up to 100 meters away. Kids were constantly running around in the blocked off parking lot around Icky’s making it sound like a full on Star Wars battle was taking place. Dan from Ashlee’s Bouncy explains. Another big hit through the day was the bouncy castle. 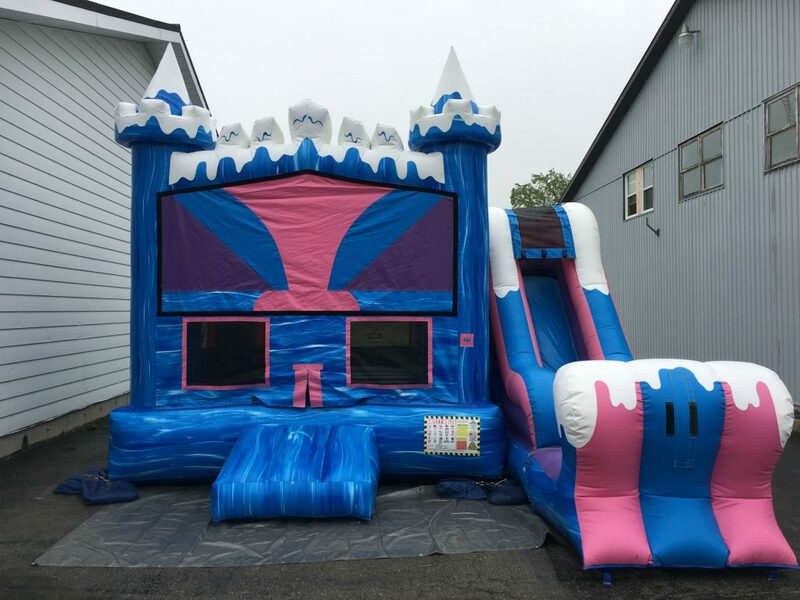 However, because of all the rain, the castle became more of a slip and slide, but that did not discourage the more adventurous children to get wet! On the inside of the store were several different tables and a free photo booth for you and a friend to squeeze in and take some printed out pictures home with you. Former Icky’s store employee Willa Ionson was also on hand with her mother to do a raffle to assist her in her continued studies. Across the way from her, Cathy Powless was running the Loonie Table – 5 tickets for a dollar. Here she is walking us through the prizes on her table. 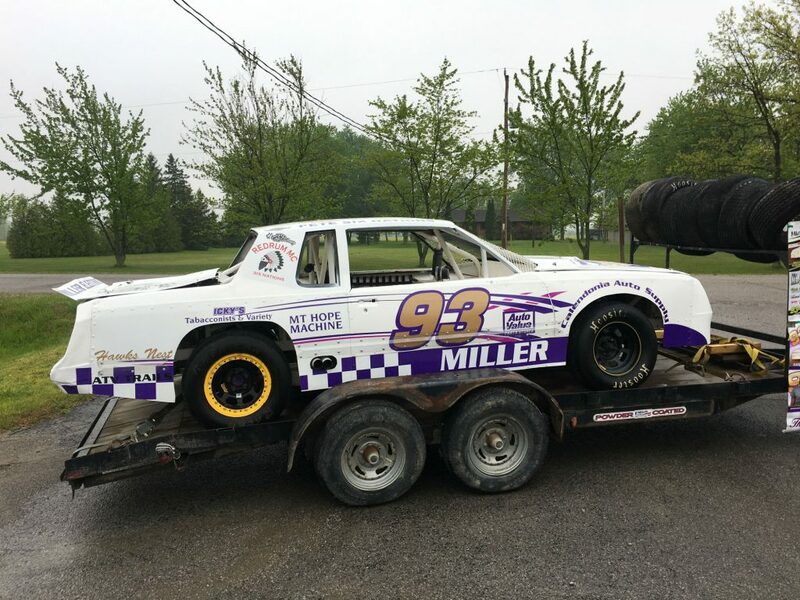 The race car of local racer Melissa Miller was also on display, and when weather permitted, kids were able to get an up close look at the vehicle. The talented musician and showman Sterling Stead entertained the crowd in the evening with his unique high energy music. As dusk fell, a fabulous display of fireworks rounded out a full and fun day of activity for local youth – even if they did get a little wet in enjoying it. The winner of the Icky’s social media draw was also held. Icky’s is thrilled to announce that Krissy Kick is the winner of our promotional like and share contest. She has won a $200 gift certificate.